3. See also “places to avoid”. Lucky for her, she’s always been resourceful, and she’s been gathering allies as she travels: Sam, fūri trapeze artist turned boyfriend; Cylia, jink roller derby captain and designated driver; Fern, sylph friend, confidant, and maker of breakfasts; even Mary, ghost babysitter to the Price family. Annie’s actually starting to feel like they might be able to figure things out - which is probably why things start going wrong again. New Gravesend, Maine, is a nice place to raise a family...or make a binding contract with the crossroads. For James Smith, whose best friend disappeared when she tried to do precisely that, it’s also an excellent place to plot revenge. 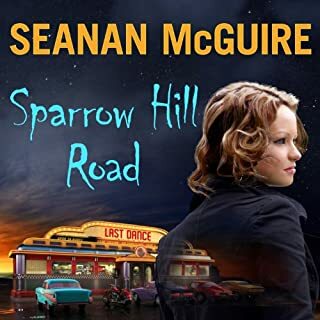 Now the crossroads want him dead, and they want Annie to do the dirty deed. She owes them, after all. 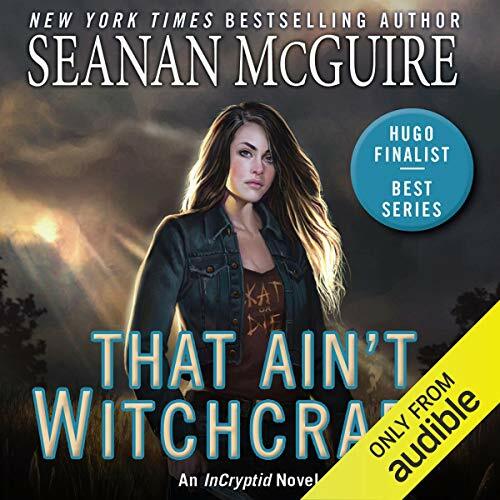 ©2019 Seanan McGuire (P)2019 Audible, Inc. I am used to having more funny bits in this series. I was disappointed. Maybe the next will be better. Get ready for an intense listen! I loved the world McGuire has created and the history of the families. We see Rose, a hitchhiker ghost and another ghost from the Ghost Roads series. It all tied in perfectly. McGuire treats us to the history or the beginning of the Aeslin Mice and their relationship to the Price family. All hail the Aeslin Mice! I miss them, but hope we see them in the next book! McGuire hinted that we would. 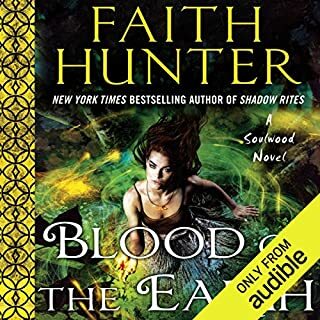 Emily Bauer rocked the narration and I could not imagine the series without her. She creates unique voices and captures the intensity of the scenes and we get some nail-biting, tear jerking, help me now scenes before it was all said and done. Anne Price must outwit the Crossroads and Leonard if she hopes to get Mary back and have a normal life...well normal for her. After all she is a Price. That Ain't Witchcraft was brilliant from beginning to end. 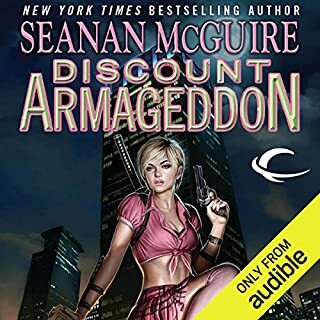 If you haven't stepped into the mind and imagination of Seanan McGuire you are missing out! Rush into this intoxicating read! I really love light hearted urban fantasies, and That Ain't Witchcraft fills the bill nicely! This is book number 8 in the InCryptid series. 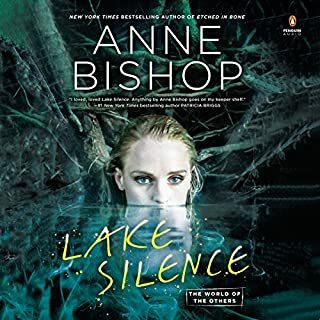 There are various Cryptids (semi supernatural beings) introduced throughout this series, and the Price family has tasked itself with protecting them from humanity! This book dives into the 3rd and final story of Antimony, the youngest daughter of the Price clan. Antimony happens to be my favorite of all the Price family. I fell in love with Antimony long before her novels were written... Seanan McGuire had written 3 short stories detailing Antimony's life. From her school years on a cheerleading squad, to her stint as one of the Slasher-Chicks on a professional roller derby team in Portland OR. and she absolutely won my heart! Antimony family has always had her back, and provided all the emotional support that she needs, but now, she's had to completely cut contact with the family in order to keep them safe, and hidden. Now that she's on her own, she's found a new "family", a group of friends that provides an anchor for her, only we find that they rely just as much on her, to be their anchor! In this tale, she's still dealing with The Covenant of Saint George (a secret cabal, dedicated to exterminating all things Cryptid), and this time she'll take on her deadliest foe, the Crossroads! Do the sensible thing... abandon any and all sense of decorum, and RUSH headlong into this intoxicating read! I give this one 6 out of 5 stars!!! Always a fun read... or listen. Another light and fun edition in a series I truly enjoy. Lots of humor, quirky characters & original takes on the creatures of myth.